Any tenant would be more than happy to avoid any extra hassles and issues with their landlord, while in the process of vacating their current rental accommodation. One of the biggest causes of grieve between tenants and landlords is the compulsory requirement for tenants to organise a professional end of tenancy cleaning for the entire property. Although this seems like a pretty straightforward exercise, there are certain issues that need addressing and resolving. First of all, landlords or letting agents need to see a certain level of cleaning results, which basically means that the property needs to be cleaned professionally. If tenants want to avoid any friction, and deal with the situation effectively, it would be best to use a well-established, professional service provider that specialises in end of tenancy cleaning services. A locally based, professional service provider which deals exclusively with end of tenancy cleaning, and will be able to handle the job for you accordingly is Go Tenancy Cleaning Bromley by Bow. We guarantee to provide our customers with the most efficient and affordable end of tenancy cleaning, without compromise on quality or professionalism. End of tenancy cleaning is no easy process, as there are many considerations, requirements and expectations to meet and cover. This would be no problem for us as we have the required industry experience and service expertise to organise, carry out and complete successfully your end of tenancy cleaning with no extra costs or additional hassles. Naturally, our cleaning teams will be able to carry out the end of tenancy cleaning in accordance to a landlord provided cleaning checklist which serves as the guidelines to what level of results are expected of the end of tenancy cleaning. If there is no such list provided, the cleaners will use their own checklist and ensure all cleaning requirements have been met accordingly. 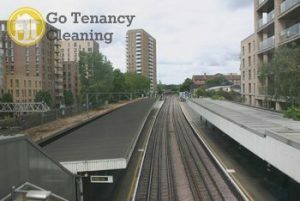 Go Tenancy Cleaning Bromley by Bow provides customers with arguably the most efficient and highly comprehensive service available right now. Every square inch of the property, including heavy duty, or hard to reach areas, will be subjected to detailed, attentive cleaning. Our expert cleaning technicians will spare no effort or resources into bringing the rental property up to scratch, and ensure the level of cleaning results is readily accepted by your landlord or letting agent. Our services are comfortably priced and easily accessible by all customers, we also provide free quotes.